As CPT Kyle Bennett, 2nd Battalion, 151st Infantry Regiment, looked up at his fellow Indiana Army National Guard Soldiers, he was duly impressed. The terrain he watched them climb was slick and the effort it took to ascend it CPT Bennett described as “slip and slide.” Typhoon Jebi, the strongest typhoon to hit Japan’s mainland in 25 years, loomed near and rain inundated the Japanese countryside where the Soldiers were training. In spite of a pending natural disaster, Exercise Orient Shield would not be delayed. Soldiers pushed through, not allowing themselves to be deterred. Participating Soldiers had to haul not only themselves, but also heavy machine guns up the slippery slope, which at times exceeded a 45-degree angle. The troops pounded the ground and overcame each obstacle, bringing the weapons up with ropes and brute strength. “You knew you weren’t in Kansas anymore, that’s for sure,” said SSG Randy Jackson with Alpha Company, 2nd Platoon, 2nd Battalion, 151st Infantry Regiment. 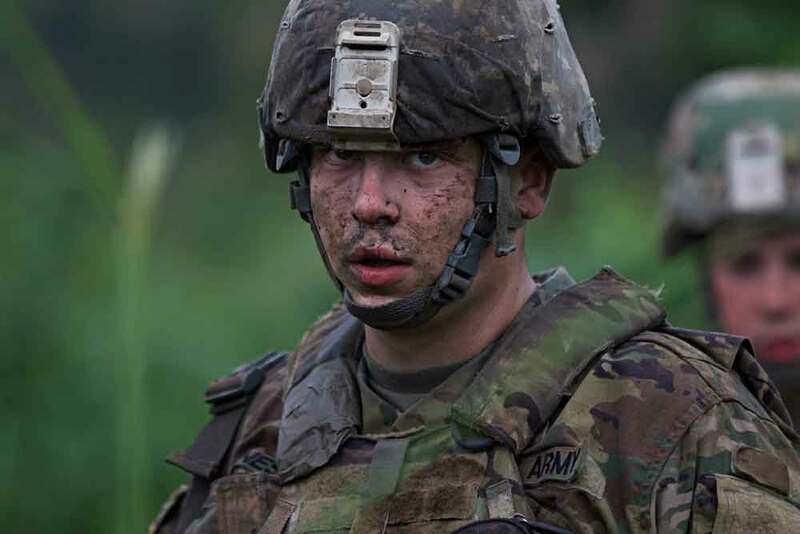 SSG Jackson and his fellow Indiana Army National Guard Soldiers advanced up that hill three times in the midst of a pre-typhoon downpour: once as a dry-fire run, once using blanks and once as a live-fire run. The risk of falling was real. Several Soldiers tumbled as they made their way up, but they took it in stride. SSG Jackson said the squad just laughed off the adversity. “We all knew what we were there to do—just get the job done,” he said. 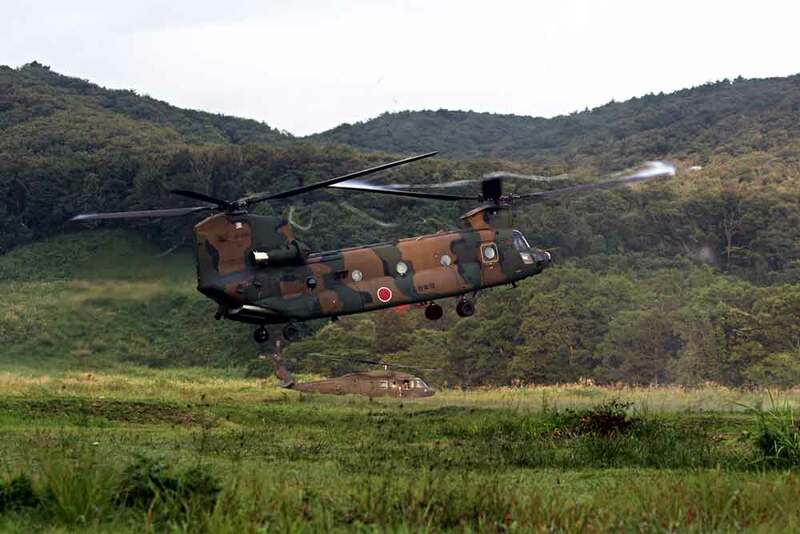 Exercise Orient Shield began in 1985 and is now an annual bilateral exercise co-sponsored by U.S. Army Pacific (USARPAC) and the Japan Ground Self-Defense Force (JGSDF). 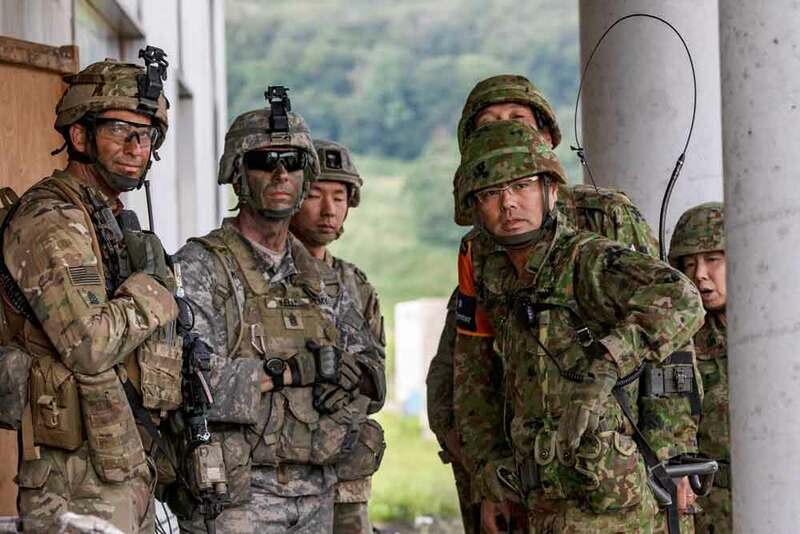 The exercise serves to enhance combat readiness and interoperability at the battalion level between Japan and the United States. Orient Shield is a part of the larger regional event Pacific Pathways, a series of consecutive exercises all held in East Asia and conducted as collaborations between the United States and its allies and partners in the Asia-Pacific region. The exercises included in Pacific Pathways 2018 were Exercise Garuda Shield (Indonesia), Exercise Hamel (Australia), Exercise Hanuman Guardian (Thailand), Exercise Keris Strike (Malaysia) and Exercise Orient Shield (Japan). Units from the Indiana Guard participated in three of the five exercises—Exercise Hamel, Exercise Keris Strike and Exercise Orient Shield. 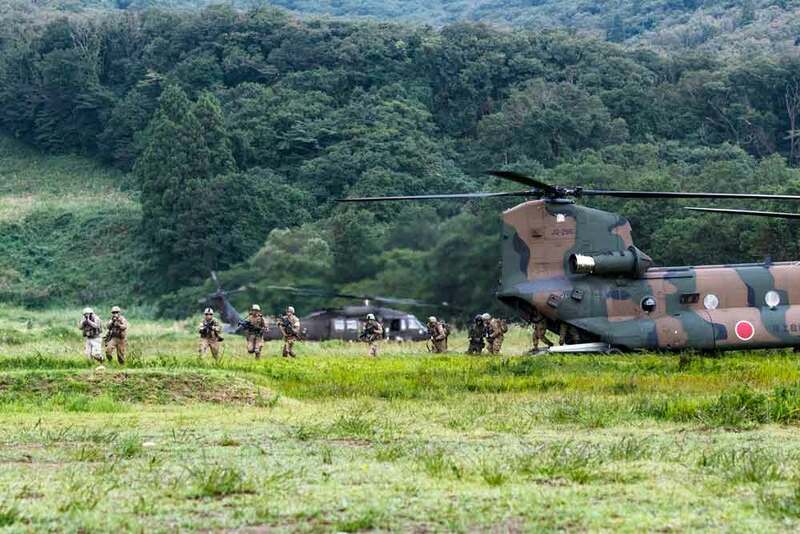 Orient Shield’s 2018 iteration took place at Ojojihara Maneuver Area in northeast Japan in September 2018. Participants conducted three live-fire exercises, dismounted movements and command post exercises, which the brigade headquarters took part in, that were heavy on computer simulations. CPT Bennett noted that for him, watching the Guard Soldiers work together to get up that hill and assail the bunker on top was perhaps representative of the long climb it took for him and his Soldiers to get to Orient Shield in the first place. “Two years ago, we did an XCTC [eXportable Combat Training Capability],” he explained. “Then last year, we did JRTC [Joint Readiness Training Center], which is the big exercise at Fort Polk, Louisiana, for units preparing usually to deploy. This year was supposed to be a year we would deploy. Then COL, now BG Robert Burke was commander of the 76th Infantry Brigade Combat Team, Indiana Army National Guard, under which the 151st falls, during Orient Shield 2018. He spoke about the level of planning that went into executing Indiana’s overall participation in the three Pacific Pathways events. “We were selected in about March of 2017, to do this exercise, [while we] simultaneously prepared for JRTC last summer,” BG Burke said. “We took a lot of the AARs [after-action-reviews] that we received [from JRTC] and we focused on the areas where we needed to improve—some of the tasks that we didn’t do so well at JRTC. We decided to build those training objectives into our Pacific Pathways planning to help our overall training readiness. Four planning conferences took place for each subordinate exercise under Pacific Pathways. Each conference ran three to five days and included four to six personnel from the 76th, usually including a trainer, a logistician or communications planner, a senior representative and one administrative person. From the conferences, a common set of training objectives was created for all 2018 Pacific Pathways exercises. CPT Bennett described himself as a “go between” during the planning process. He was involved in coordinating operations during the planning conferences and also worked on overall planning in between drills back home in Indiana. He attended three of the conferences, where he helped coordinate events for Orient Shield that included functional training, a platoon live-fire event and a battalion field training exercise. Plenty of face-to-face interaction took place between the Guard Soldiers and the soldiers of the JGSDF to increase interoperability. Functional training is just one example. BG Burke said he felt the Indiana Soldiers did extremely well in their overall performance during Pacific Pathways. One of the objectives that he noted the members of the 76th executed well during Orient Shield was the pushing and processing of internal communications. Forecasting, planning logistical support, generating reports and submitting pertinent information in a timely manner were all vital components of the exercise. 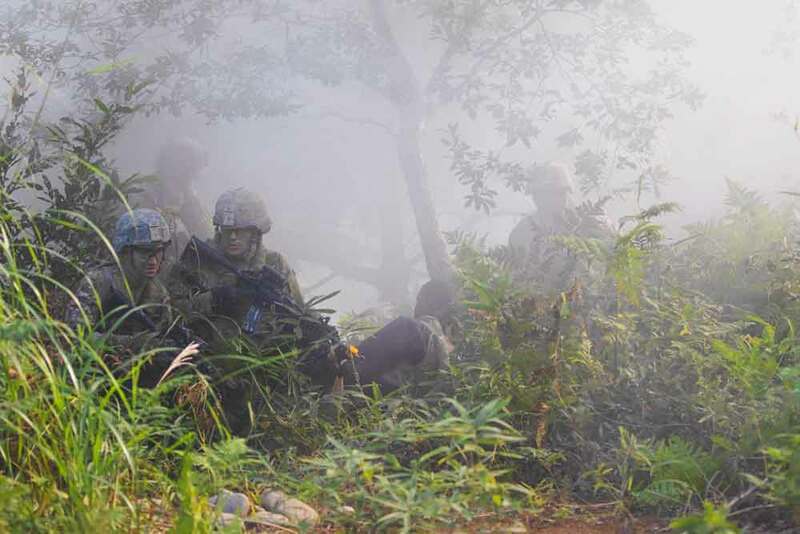 During the exercise’s simulated warfighting scenarios, information needed to be transmitted quickly and accurately from the lowest levels in the platoons and companies all the way up through the brigade and to division head. He also noted an area of improvement for the troops—the synchronization of fires, that is the coordination of multiple sources of fire onto a target area to increase lethality and achieve synergistic results. Already thinking ahead to future participation in Orient Shield, BG Burke said additional training in this area could be incorporated into upcoming exercises in Japan. The one event the Soldiers could never have planned for was Typhoon Jebi. 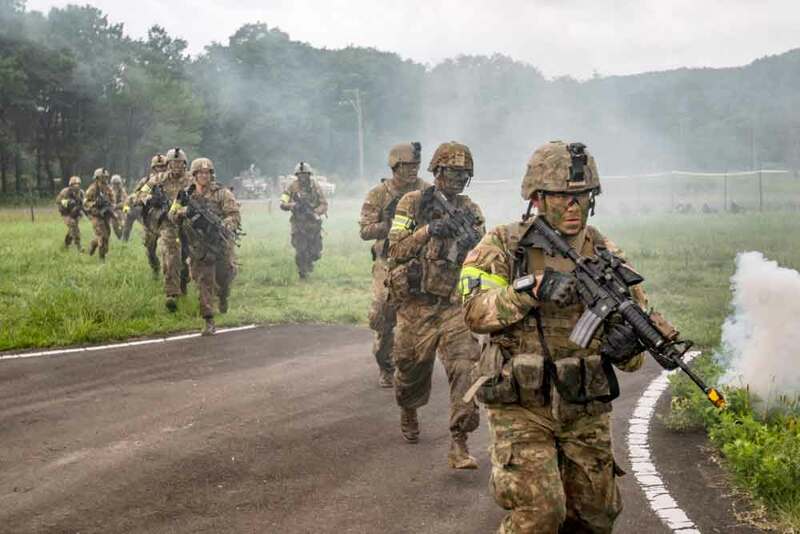 It forced the Indiana Soldiers to work with their Japanese counterparts on a completely unanticipated mission—one with which Guard Soldiers are more than familiar—disaster response. “We actually had a typhoon come through and had to shut down, pack up everything and then set it all back up after the typhoon,” said BG Burke. After the storm, the Soldiers picked up with Orient Shield right where they had left off a couple days earlier. The missions were accomplished as intended, but not before the events had left an indelible impression on those involved. As if to illustrate the esprit de corps exemplified by the Soldiers of the 151st and their ability to rise to the occasion and get the job done no matter the circumstance, CPT Bennett recalled once more how those Soldiers powered through that climb up a muddy, rain-soaked hillside. They made it up, engaged the enemy and took their objective. 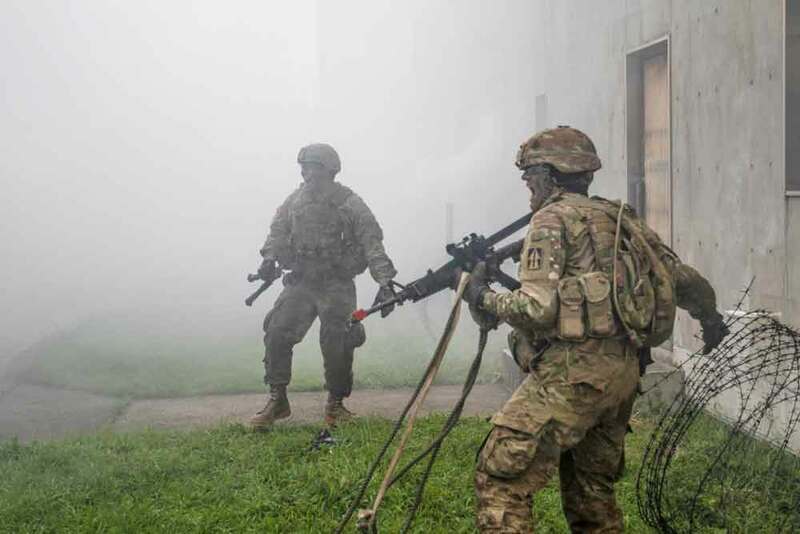 All in a day’s work for the Indiana Guard Soldiers at Exercise Orient Shield 2018.